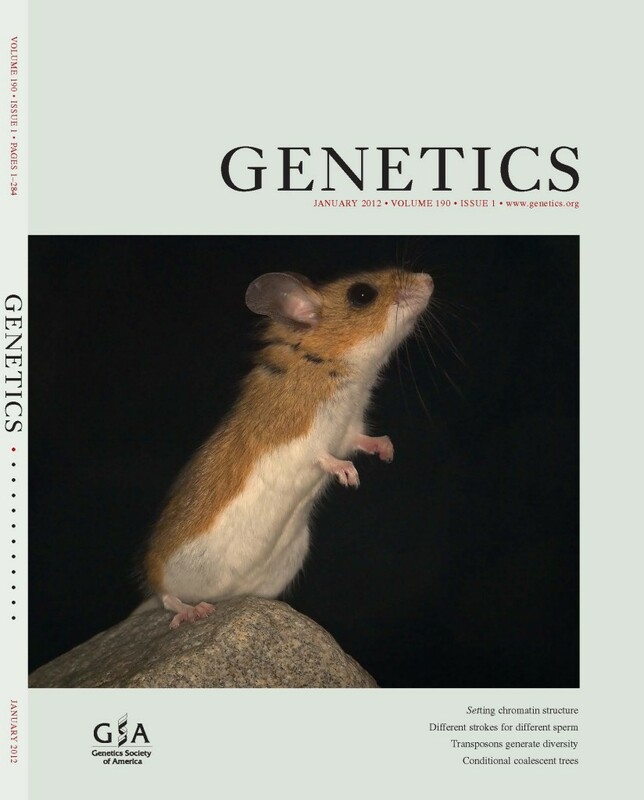 On the cover: The deer mouse (Peromyscus maniculatus) has an extremely broad altitudinal distribution, and tandemly duplicated betaglobin genes contribute to adaptive differentiation in blood-oxygen affinity between populations that are native to different elevational zones. Observed patterns of nucleotide diversity and haplotype structure suggest that nonrandom associations between alleles at linked beta-globin genes may be maintained by epistatic selection. See Storz et al. (pp. 203–216). Photo credit: Mark A. Chappell. Storz, J. F., C. Natarajan, Z. A. Cheviron, F. G. Hoffmann, and J. K. Kelly. 1 2012. Altitudinal variation at duplicated Î²-globin genes in deer mice: effects of selection, recombination, and gene conversion. Genetics 190(1), pp. 203-216.